From the perennially young, precocious figure of 'little orphan Annie' to the physical and vocal ageing of the eighteenth-century castrato, interlinked cultural constructions of age and gender are central to the historical and contemporary depiction of creative activity and its audiences. 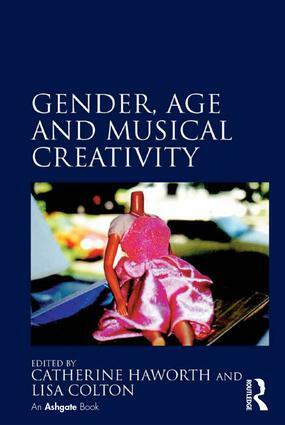 Gender, Age and Musical Creativity takes an interdisciplinary approach to issues of identity and its representation, examining intersections of age and gender in relation to music and musicians across a wide range of periods, places, and genres, including female patronage in Renaissance Italy, the working-class brass band tradition of northern England, twentieth-century jazz and popular music cultures, and the contemporary 'New Music' scene. Drawing together the work of musicologists and practitioners, the collection offers new ways in which to conceptualise the complex links between age and gender in both individual and collective practice and their reception: essays explore juvenilia and 'late' style in composition and performance, the role of public and private institutions in fostering and sustaining creative activity throughout the course of musical careers, and the ways in which genres and scenes themselves age over time. Catherine Haworth is Lecturer in Music at the University of Huddersfield, UK. Her research focuses upon musical practices of representation and identity construction across various media, particularly film music. Recent projects include articles on scoring the female detective, music and medicine in the gaslight thriller, and editorship of a gender and sexuality special issue of Music, Sound and the Moving Image. Lisa Colton is Subject Leader for Music at the University of Huddersfield, UK, where she directs the Centre for the Study of Music, Gender and Identity. Her research interests focus on British music of the Middle Ages and of the twentieth century, particularly in relation to questions of reception. Her forthcoming book (for Ashgate) is entitled Angel Song: Medieval English Music in History.